Acidified precipitation may affect the productivity of forests by altering the availability of plant nutrients or by affecting the ability of trees to absorb and assimilate those nutrients. 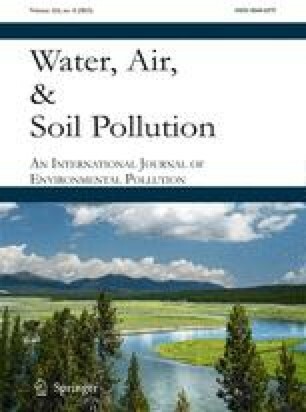 In this study, the short-term effects of simulated acid rain (pH range 5.6 to 2.3) upon the growth and nutrient relations of Eastern White Pine seedlings (Pinus strobus, L.) grown in a sandy loam soil were examined. Soil chemistry, soil leachate chemistry, seedling tissue chemistry, and seedling productivity were monitored. Inspite increased leaching of cations from the soil, resulting in near depletion of available K+1, Mg+2, and Ca+1 at pH 2.3, seedling productivity increased with acidity through the 20-week experimental period. Foliar nitrogen concentrations indicate that fertilization with NO 3−1, added to the rain as HNO3, may have caused the growth increase. Implications of cation losses and NO3−1 fertilization are discussed. 1.Yale UniversitySchool of Forestry and Environmental StudiesCNNew HavenU.S.A.